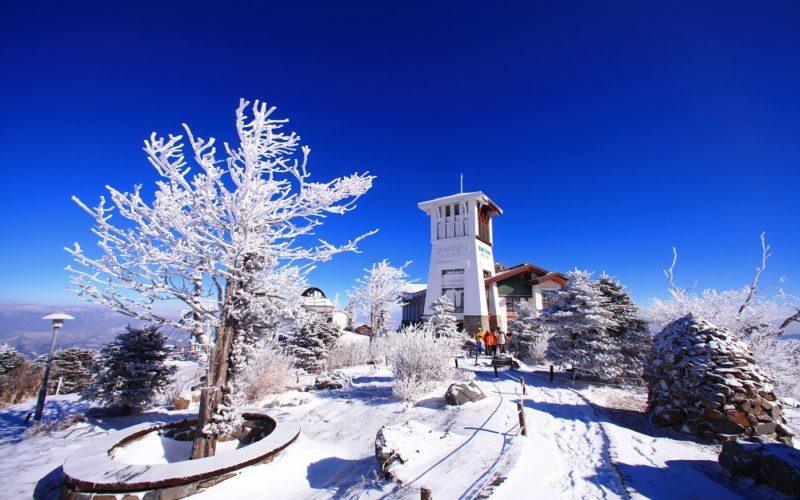 Things to do Themes Family-friendly (2019 Winter HOT DEAL) Yongpyong Resort Korean drama Site Gondola Sightseeing, Snow sled, Ski Package! 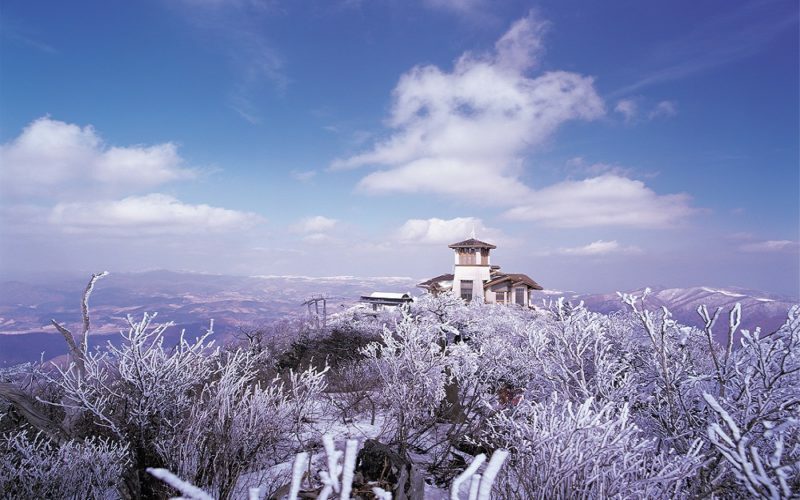 Would like to see real snow in Korea or looking for the place to take a photo where the kdrama Goblin shooting place? 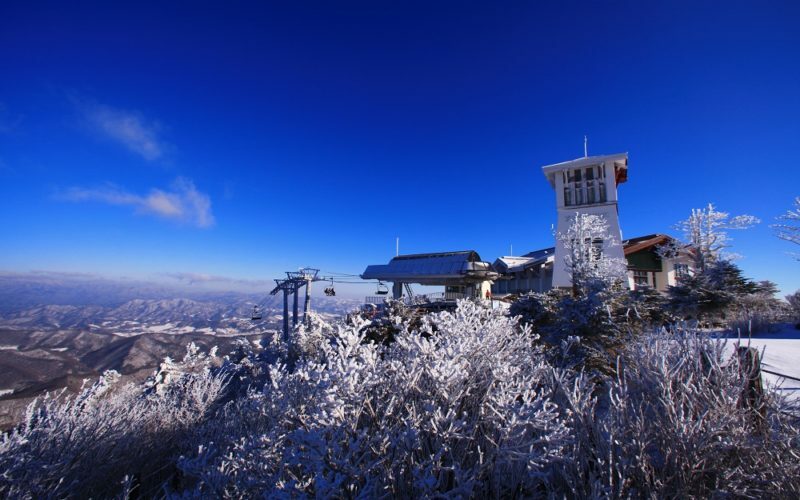 This Yongpyong Resort has a beautiful Korean drama site you can enjoy the snow! For couples, the moment they share at Balwansan will make an unforgettable romantic memory to them. 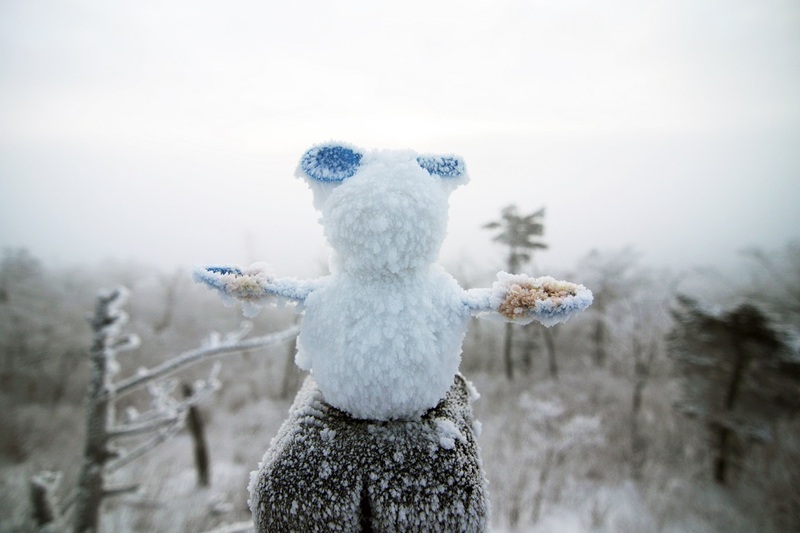 Family with kids, let’s make a great plan to build up snow-man with real snows which only can play during Winter. Also, you can enjoy the Snow sled or Ski surrounded by real snow! Real Snow Fun! Korean drama Site (Goblin and Winter Sonata)! 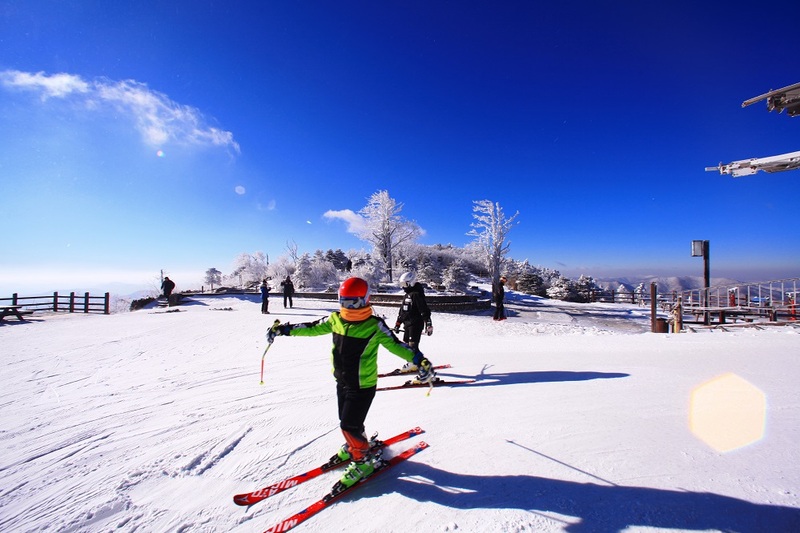 Olympic ski resort – Yongpyong resort! 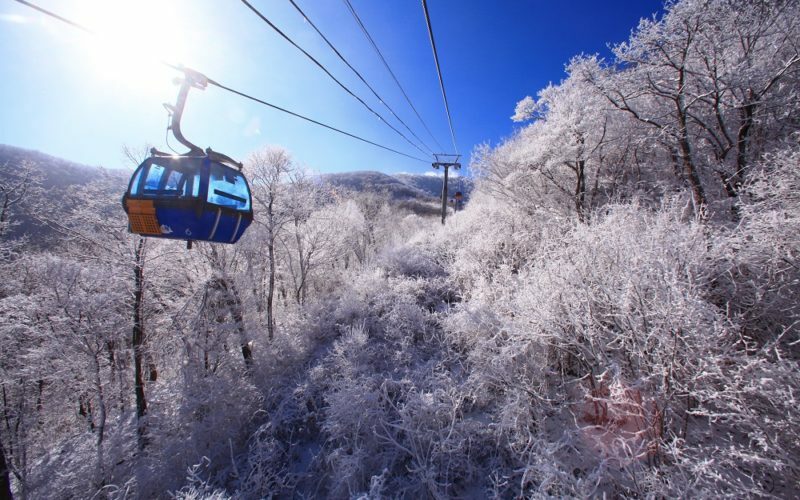 Do you want to see real snow in Korea? Take a gondola to the top of the high mountain and walk through the snow flowers trees, and tour the filming sites of the popular Korean drama Winter Sonata and Goblin (Dokkaebi). 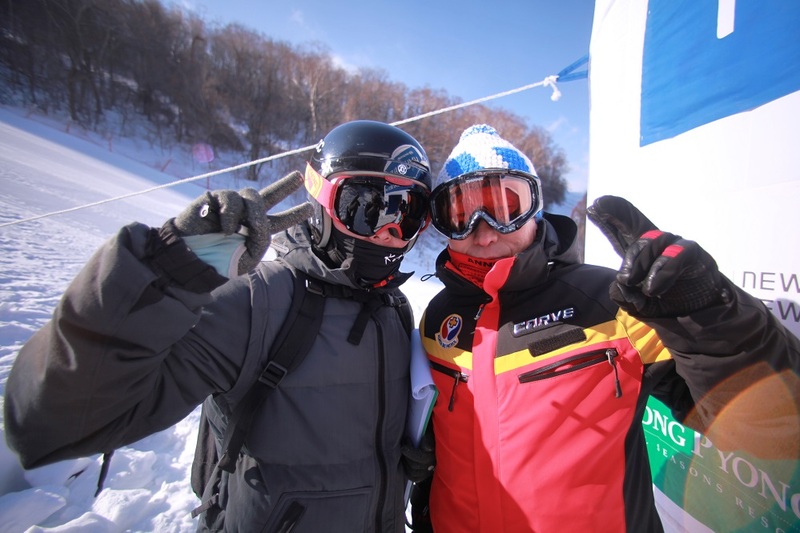 Now it is your time to enjoy snow sledding fun and skiing tours in Yongpyong! For couples, the moment they share at Balwansan will make an unforgettable romantic memory to them. 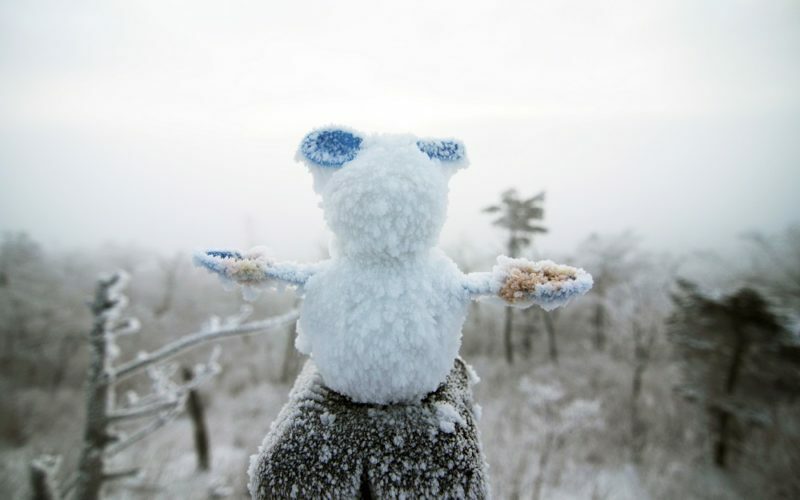 Family with kids, let’s make a great plan to build up snow-man with real snows which only can play during Winter. 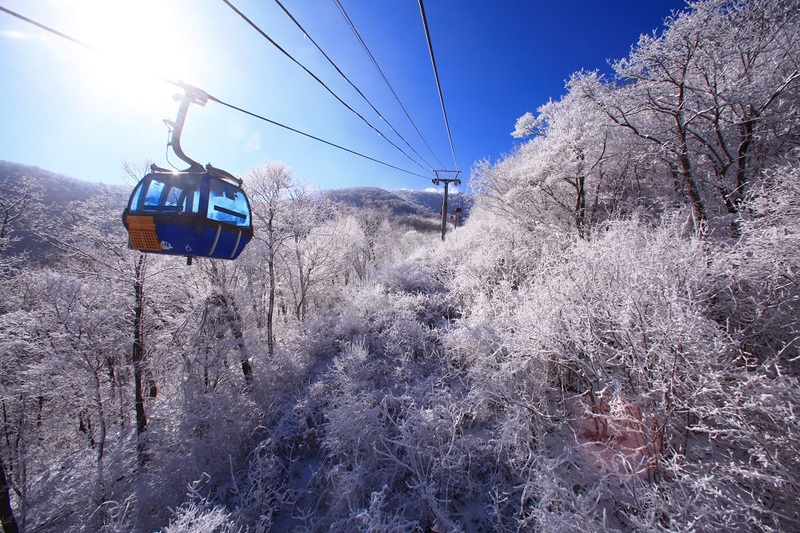 Yongpyong Resort is Korea’s first modern ski resort and is home to the 2018 Pyeongchang Winter Olympics. 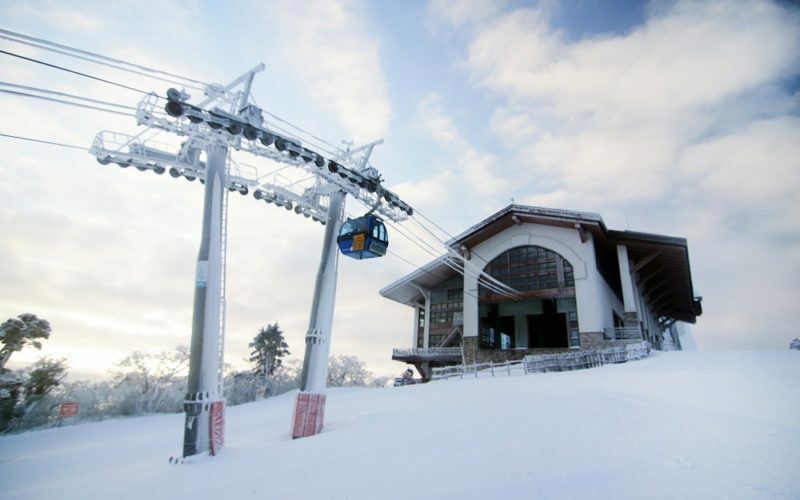 It features over 20 slopes and full-service amenities like restaurants, a bowling alley, sauna, and more! Take a photo at your favorite drama site! 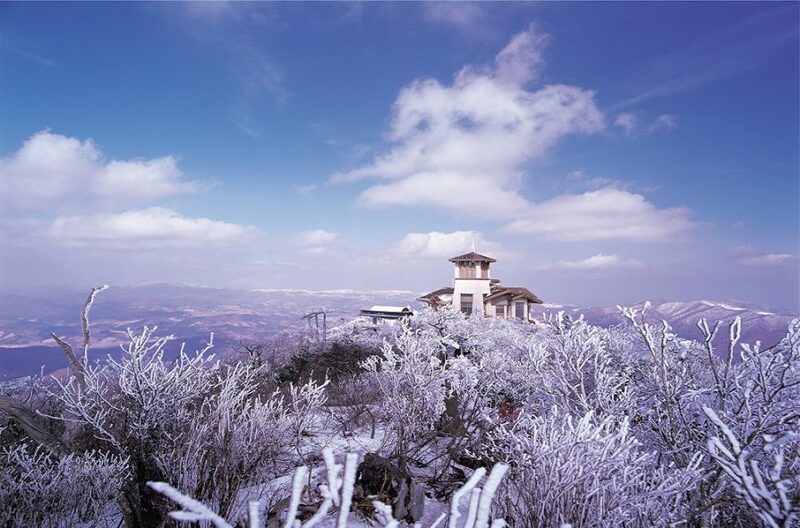 Yongpyong has been featured in both Winter Sonata and Goblin. If you are a group of family and have kids, it will be a good memory for your kids to enjoy the snow sled surrounding the snow! 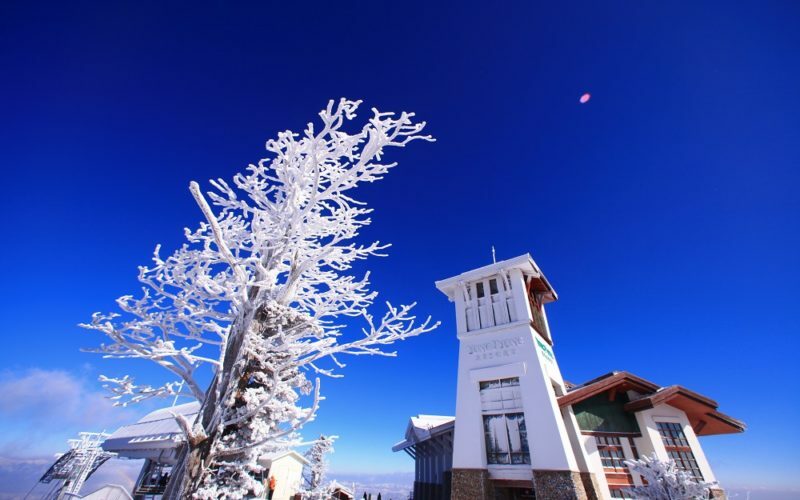 Great for first-time skiers to try out skiing. 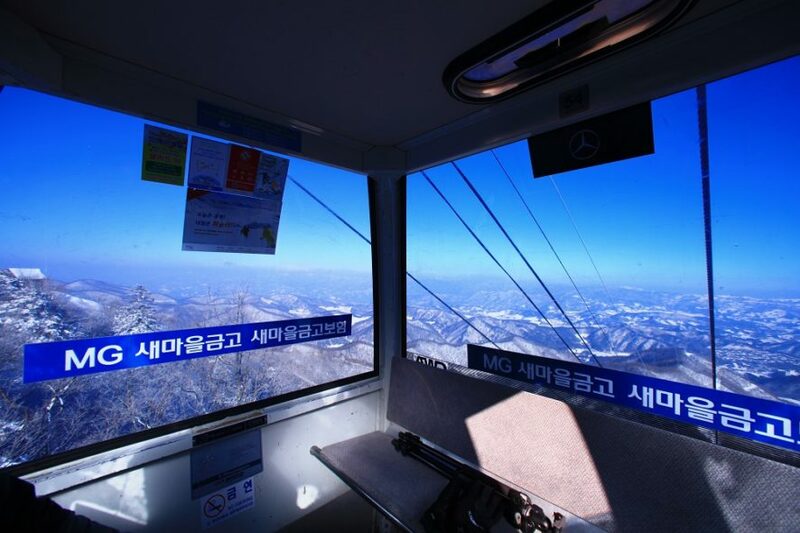 Take the gondola for sightseeing and enjoy the ski lesson! 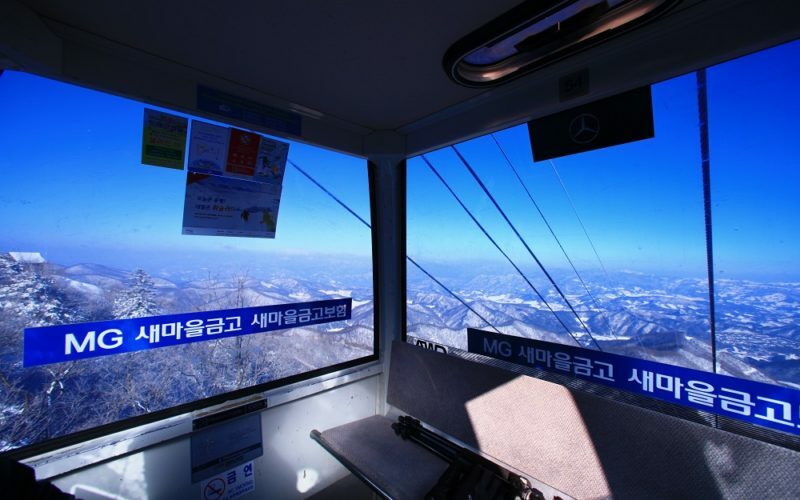 A one day, a simple itinerary means you’ll be back in Seoul for dinner. 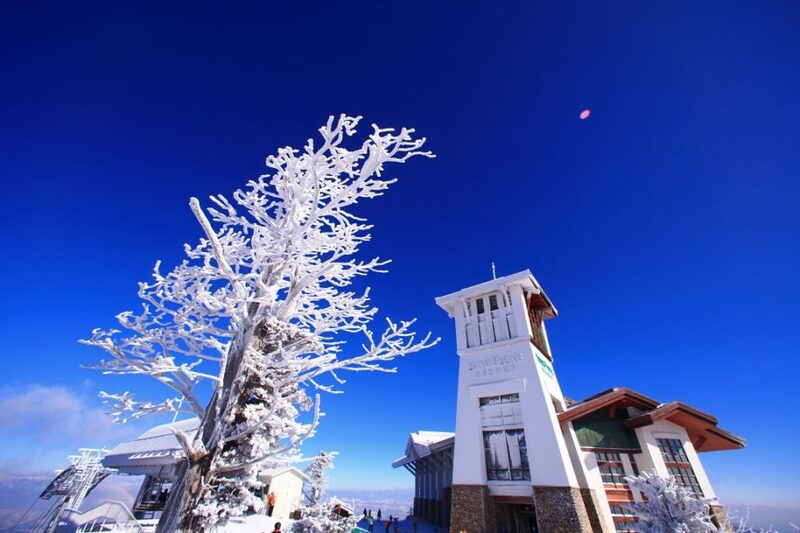 Ski equipment, waterproof ski pants, and coat included. 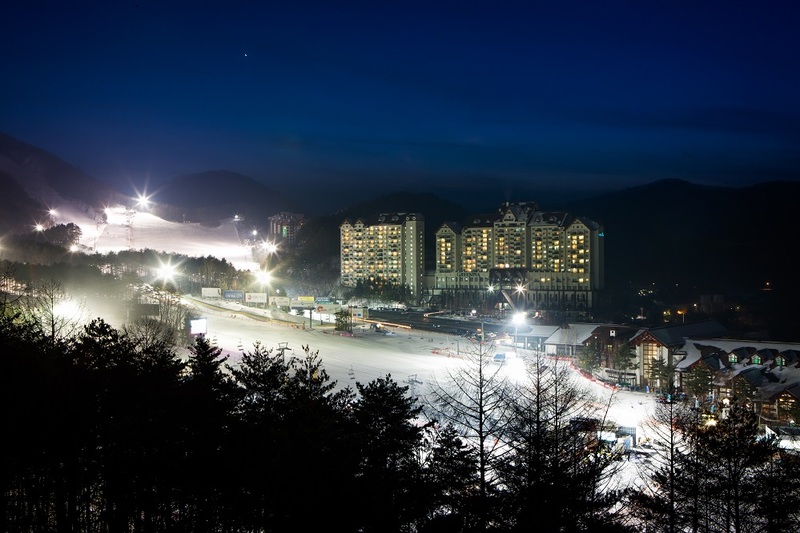 – Looking for Ski, Snowboard Package including LIFT at Yongpyong Resort? GO HERE! 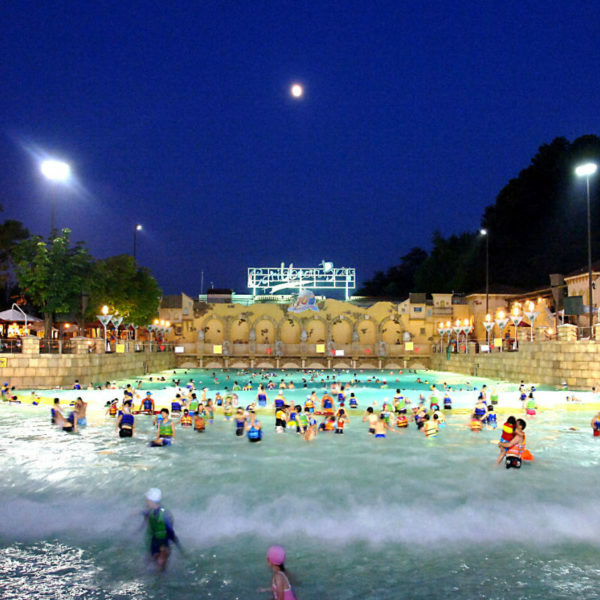 – Looking for an overnight trip? Check out our 2 Day, 1 Night Yongpyong Resort Package GO HERE! * Price is the same for Adult and Children (36 Months and Over). Under 36 Months Free. 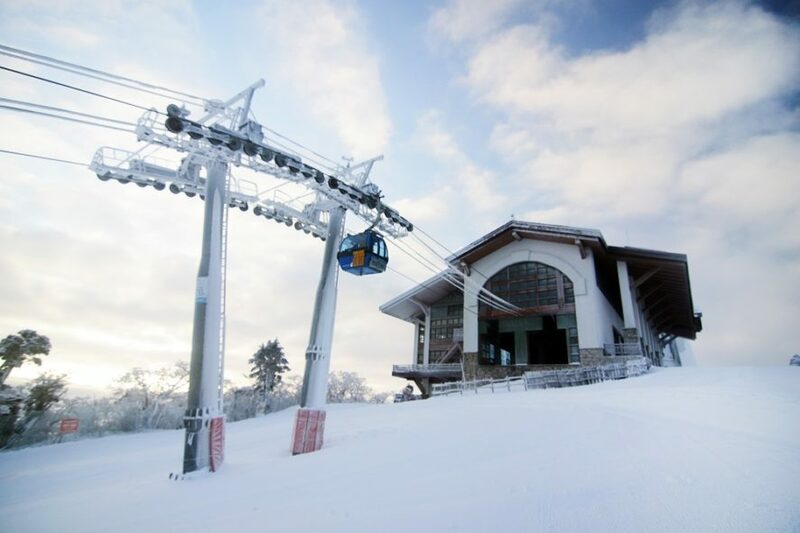 * Enjoy SNOW at the mountain with Gondola! Tour will still run on rainy and snowy days unless there are government issued warnings. However, a tour may be canceled due to heavy rain or snow. Please plan to wear comfortable clothing. Bring winter gear (scarf/ tuque, etc). 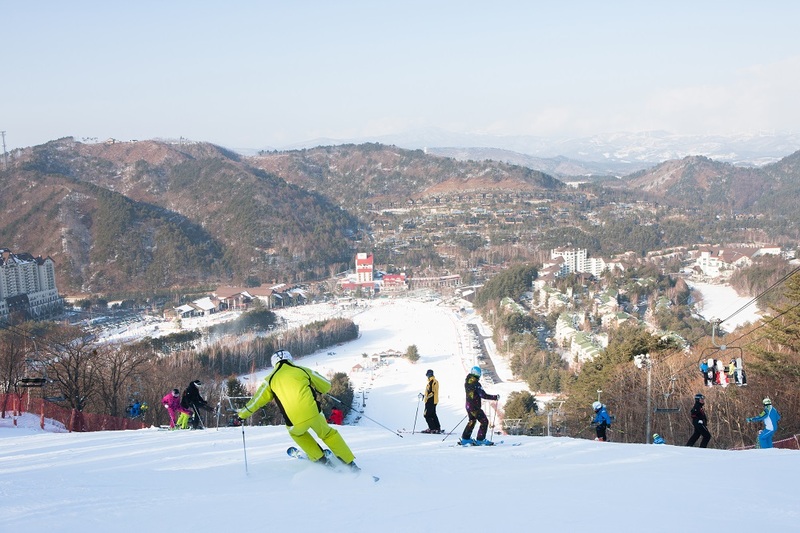 KoreaTravelEasy and our operating tour partners do not take responsibility for any injuries or losses incurred while on tour. Resort guide map will be provided on tour date.